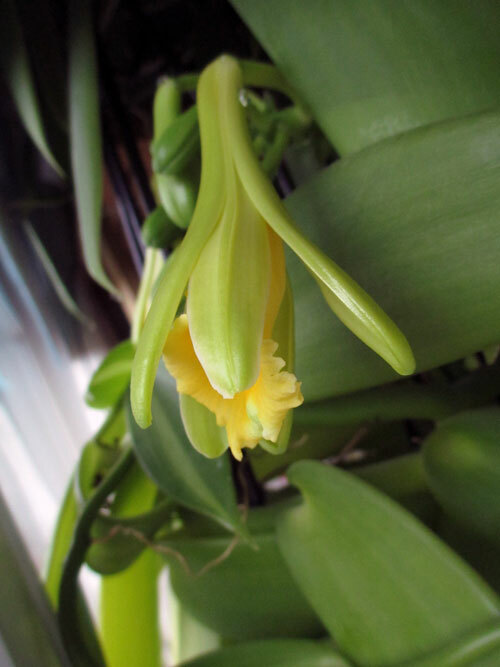 I had a nice surprise this morning when I went to my computer, I discovered my large Vanilla orchid was flowering again. 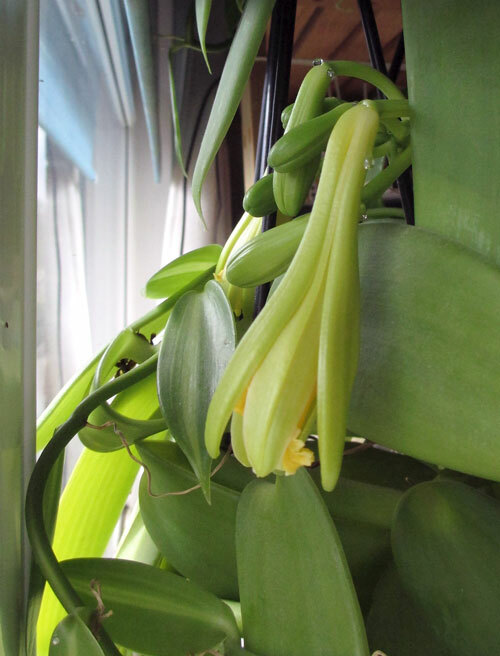 It grows up against a south facing window and is far too big to move so I hadn't noticed the flower buds developing. This is the second year that this plant has flowered so it obviously likes where it is growing. I just wish it wouldn't only have flowers on the window side, it would be very nice to be able to see them. I have no idea if they are scented in any way as I can't get close enough to smell them. I had a go at using interactive acrylic paints last weekend and was amazed by them. For the first time in my life I managed to produce two paintings in one day, normally I take several days just to produce one painting. I found them pretty easy to use, although care has to be taken not to get the painting too wet when spraying with water to keep the paint active. But all in all I was impressed and was able to paint how I have always wanted to paint, but haven't managed to with normal acrylics. I do use retarder with normal acrylics, but it seems to change the way the paint feels and I can't seem to get smooth graduations, but I managed to with the interactive acrylics. The one downside I came across was that one of my pictures remained tacky for quite a while after I finished it, but by the next morning it was very dry so it isn't much of a downside really. I will seriously think of using these for painting on holiday and outdoors. I had considered water soluble oils for this, but they still take a long time to dry. Wishing all a happy Easter.